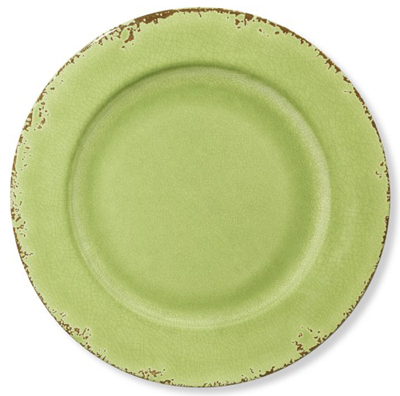 These wide-rimmed Rustic Melamine Green Dinner Plates capture the beauty and dimension of antique earthenware, yet they’re made of shatterproof melamine. Thesubtle texture, rubbed edges and rich glazed finish of ceramics are re-created in durable, scratch-resistant melamine—the perfect choice for outdoor and casual meals. Set of 4. $51.95. Buy here.